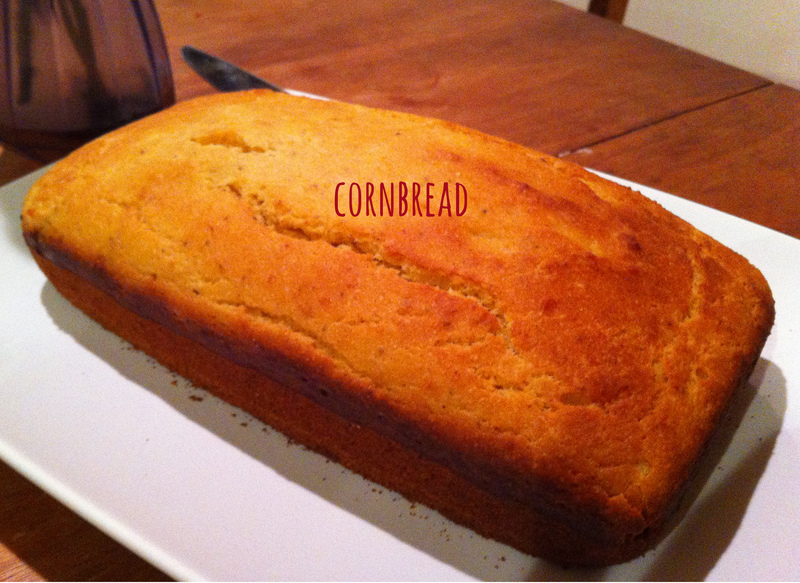 There aren’t many sides more Texas than cornbread, and these HungryTexans love ourselves some cornbread. Hot, cold, honey buttered or molassesed, we’ll eat it any way you slice it & believe it or not it’s almost as easy to make homemade cornbread from scratch as it is to bake from everyone’s favorite blue & white box. You’ll be done in a jiffy (*wink*). You probably have most of this in your pantry already! 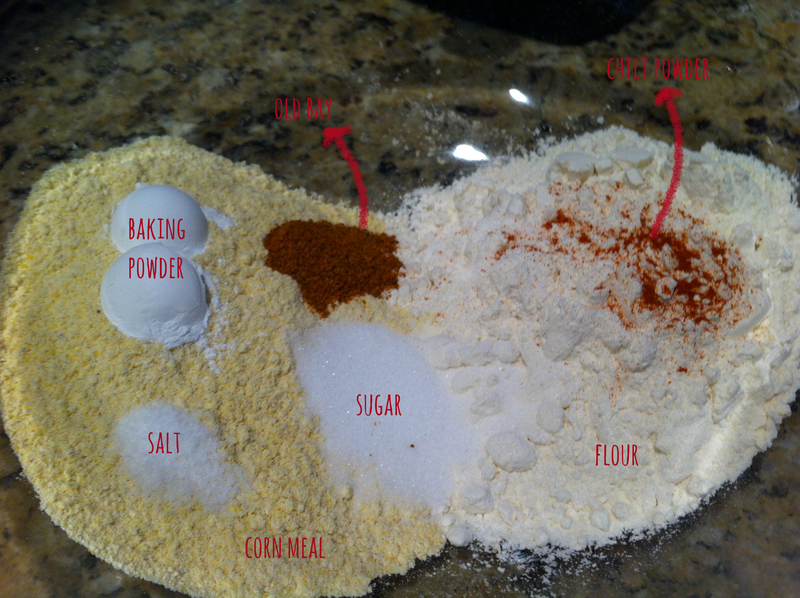 Preheat your oven to 400 & start by combining all your dry ingredients in a large bowl. 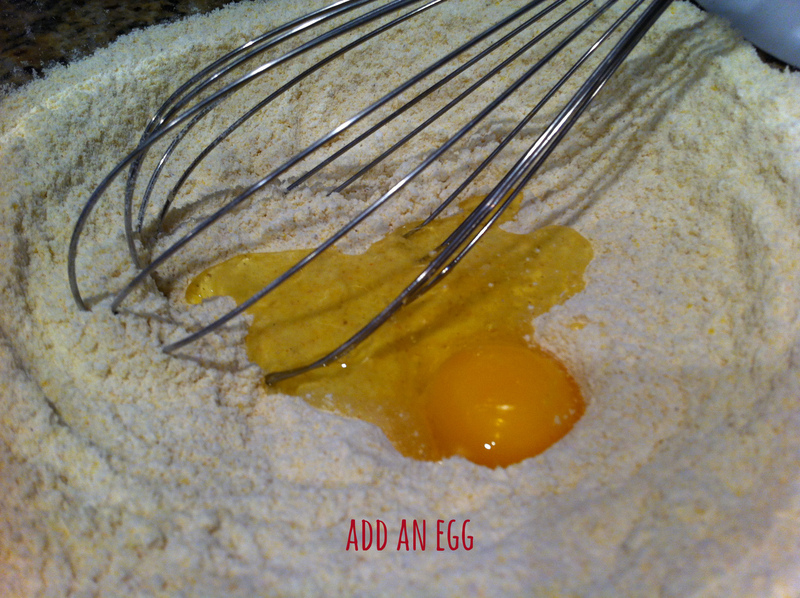 Then add your egg (note: I regretted using a whisk for this task, I recommend a fork so your egg doesn’t get all caught up in the tines!). 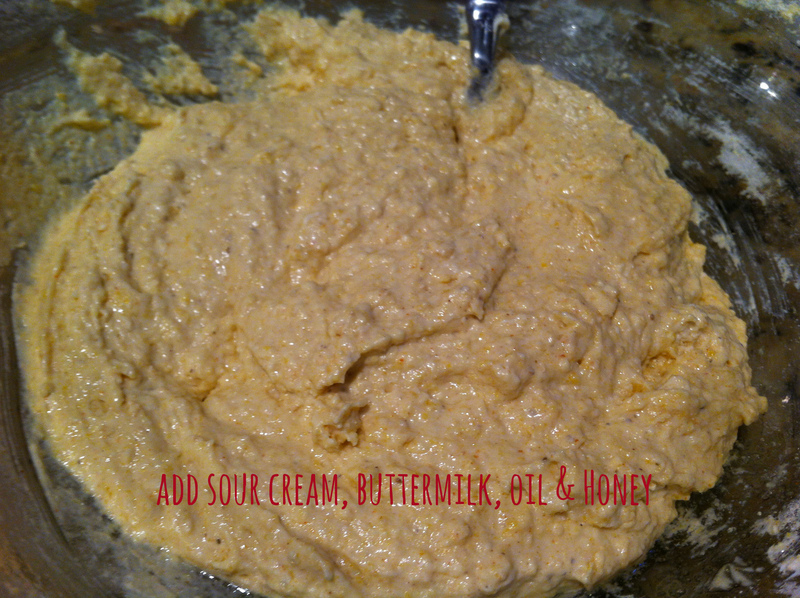 Then mix in all your soggy ingredients – sour cream, buttermilk, oil & honey. 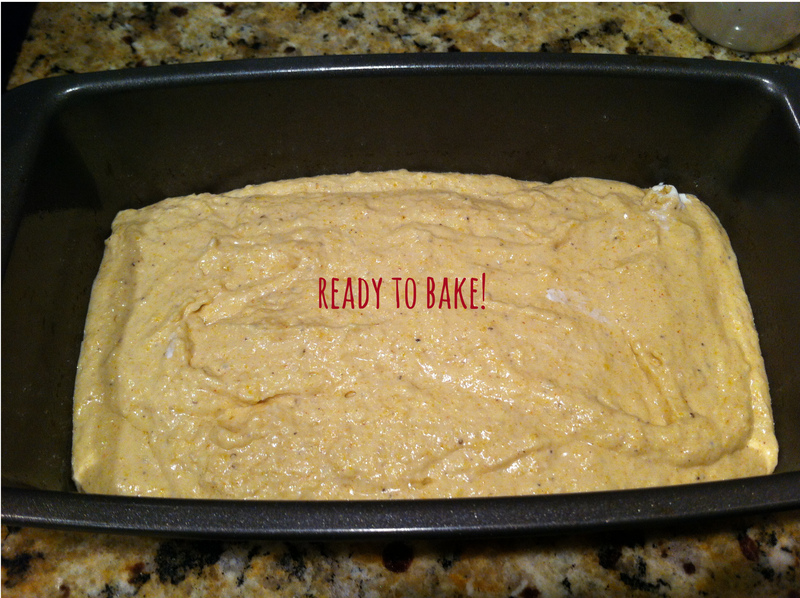 Pour your chunky-ish batter into a greased loaf pan & bake 25-30 minutes until your loaf is golden! Serve alongside your favorite soup or g’nosh a big hunk for breakfast!